“This is a judgment that is imbued with the compassionate purpose of law and the liberal spirit of expanding the scope of individual human freedoms. “Hence, this is India’s finest moment,” said Johnson. 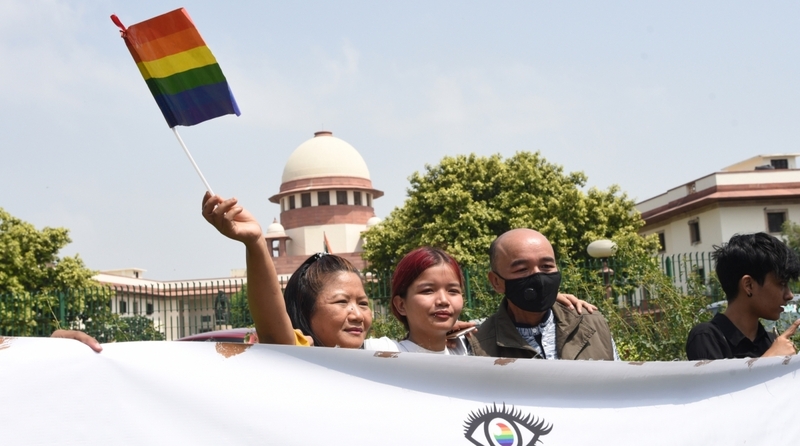 Jerry Johnson, the editor of a recent book on queer identities and sexualities, has described the historic Supreme Court verdict on Thursday that decriminalised homosexuality between consenting adults, as India’s finest moment. “The verdict today marks the finest moment in the history of Independent India — and I make this as no tall claim — because what the Honorable Supreme Court announced today is that even if you are only a minority of One in the world’s largest democracy, you are important. “Your rights matter. You are imbued with all the same rights accorded to every other autonomous citizen of India in virtue of being human, for sharing in the common humanity in all of us, in recognition of our universal impulse to love and to desire, and most importantly, in recognition of the historic injustice done against you that needed to be acknowledged and rectified immediately,” the editor of “I Am Divine-So Are You” told IANS. The book released to acclaim in December 2017 and recasts religion, especially Karmic faiths, as “an ally and not an adversary of queer emancipation”. It attempts to chart how Buddhism, Jainism, Sikhism and Hinduism affirm the dignity of queer identities and sexualities. “I Am Divine-So Are You” (HarperCollins/200 pages/Rs299) carries an elaborate introduction by noted mythologist-writer Devdutt Pattanaik. Jerry Johnson, apart from being the editor, has written the chapters on Hinduism and Buddhism and edited the chapters on Jainism and Sikhism.